The Kickstarter culture in board gaming has always felt a bit odd to me. I don’t avoid it completely. I’ve backed a couple of Red Raven games and the 2nd printing of Gloomhaven. But I’m not one of those people who keeps tabs on what’s launching each week and I don’t feel that nefarious FOMO (fear of missing out) people talk about all the time. I can totally see how I could get into that if I tried a bit, but I have erected a strong mental wall against it. I don’t want to spend that kind of money and I don’t want to end up with a bunch of hit and miss games. I’ve run out of shelf space as it is. But on the occasion that a Kickstarter release does pique my interest, I usually have a very hard time understanding what it’s actually like. 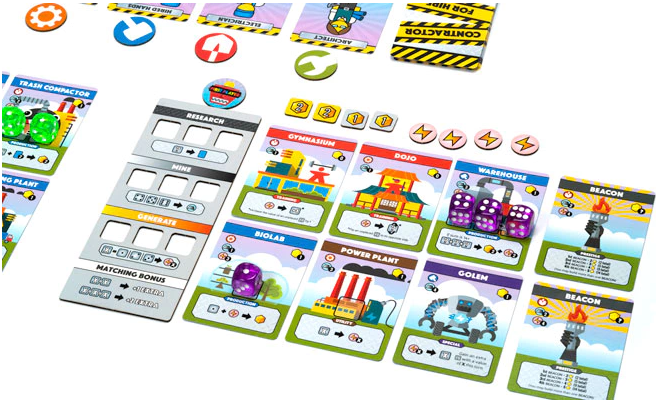 There seems to always be so much focus on the components and the minis and the theme. I want to know what makes the game good, not what makes it fancy or pretty. Plus nearly all great games end up in retail anyways. So I’m a Kickstarter Curmudgeon; skeptical of most of it, and of the belief that the culture supports creators that emphasize bling over game. But I know that some great games do come out of Kickstarter, and I suspect there are other curmudgeons out there like me. Maybe this will be helpful to them and maybe it’ll be helpful to publishers looking for a bit of an out-of-the-box perspective. While I may be somewhat grouchy and snarky I’m genuinely trying to be helpful and informative. So I scoured Kickstarter and narrowed it down to around 20 games currently on there that looked notable in some way. Nothing impressed me enough to bypass my admittedly high threshold to purchase (I’ve bought games recently and have a handful of unplayed games on my shelf so restraint is the name of the game right now), but one or two were tempting. What struck me most was how rare it is to have easy access to informative gameplay information. There’s a huge difference between explaining what you’re doing thematically or what nebulous mechanisms are included and what it’s like to actually play the game. I don’t want to have to dig through a beta rulebook or watch someone’s review video to find out basic information about the gameplay experience. Enough prelude. Let’s look at some specifics. Games are presented in no meaningful order. All images directly from the game’s respective kickstarter pages. The title is nice–tells me what I ought to expect from the game. 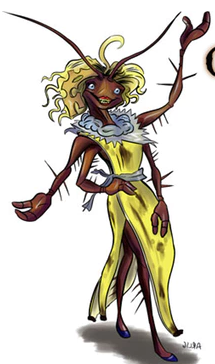 Right off the bat I get some decent flavor text, some cool Alien-esque art, and, hey, would you look at that! An overview of the gameplay. They highlight the “challenge deck” that promises “endless replayability”–a sort of silly claim by this point. The card game War has endless replayability because a deck of playing cards can be shuffled 8.07^67 times, but that doesn’t mean much. 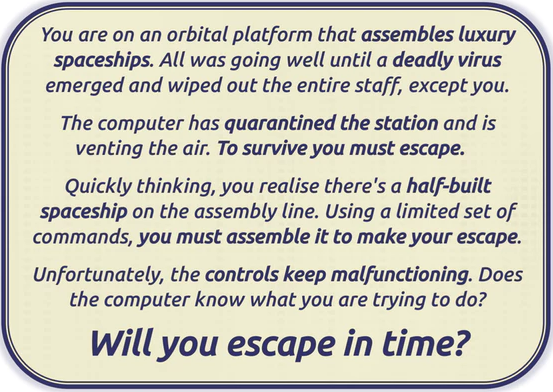 Anyways, you might have to sacrifice people to preserve oxygen and there are different threats to the ship. It’s a decent premise for a game and I’m interested in learning more. Unfortunately I then get to a sort of rules in miniature that quickly becomes boring. I don’t need to know the step by step instructions for setting up the game. Knowing that I should set oxygen levels before the game begin has literally no meaning to me. But at least they put some gameplay stuff first before the list of components and stretch goals and other things that make my eyes glaze over. Maybe it’ll be good, but it seems like it could be fairly bland. The video splash screen looks cool, but I’m a busy man who has no time for videos. Continue on! The creators wisely put a Rahdo quote front and center, and I don’t blame them. Dude’s gold money if you want to sell a game. Then we get some flavor, some more quotations from notable reviewers and board game folks, and a not half-bad gameplay description. By this point I know that it 1) is puzzly 2) has some push your luck elements 3) requires wise action/time allocation and 4) has variable difficulty levels. That’s some good information, but we get component pictures and stretch goals and other gibberish before we get to more gameplay info. Under “How to Play” we get a description entirely written in terms of theme. Unless I’m going to actually be assembling a spaceship (note to publishers: give me that game), that isn’t information that actually informs. Yes, it’s fine to be excited about the theme and to write about it, but what am I going to be thinking about during my turn? On the positive side of things there’s a pretty neat gif that does more explanation than the “how to play” copy. Looks like a spatial manipulation thing. Neat. What’s above top secret? No seriously, isn’t there a name for it? Or is the point that it’s normally the most classified thing but this game is more extreme than that because it goes ABOVE and writes in ALL CAPS? Anyways, we get our first component emphasis campaign because before I learn more than “two player strategy” I get some component pictures! It’s just some cards and bits too. I’m not enthused. Then we get some concept art. I don’t know what the game is yet. And I still don’t know. Apparently there are aliens and cards and you must “seek to break through your opponent’s front line”. And cards. There’s a flashy “download the rulebook” link but I don’t care at this point. Moving on. Let’s unpack that. You share dice rolls, you’re route building, which is a nice schema to use to conjure up all kinds of potential decision spaces, and the strategy is in the post-roll decision making. And apparently it can play 12 or more people? Color me intrigued. Look at this! We get more description. I quickly learn that there are cards that limit your decisions and that you can easily build yourself into a corner. I’m told that it’s deceptively deep and that they’ve deliberately made it more thinky than most roll and writes. Only after that do we get component pictures, stretch goals, and the like. And while I’ve maligned that stuff before, I have to say that the game looks nice and they’ve got some quality photography and gifs here. Well done. This game is about spinning gyroscopes. I don’t know much more than that, but it’s the main selling point, and the first thing you see is a gif of an endlessly spinning gyroscope. Fun fact: if you look at it too long it eats your brain. 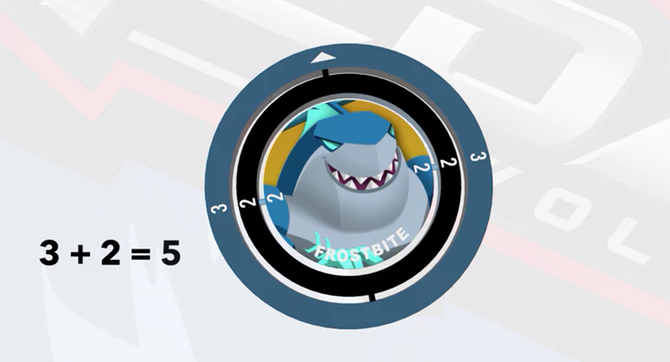 The second image is of some kind of shark gyroscope with the numbers 3, 2, and 2 on each of the rings. Next to it is the equation “3+2=5”. Cool. I have no idea what’s going on. There are some card images and then an image of a second gyroscope play piece with a 1, 2, and 1 on it. We are helpfully informed that if you add 3 to the previous equation, you get 8. Yes, that is how addition works. We’ve got gyroscopes and basic math and it looks like kids might like it? Spoiler: the cards aren’t actually 3D. I suppose they’d have to call it a “box” game if they were, but I digress. They’ve got those holographic image things you used to get at the toy dispenser at the local pizza shop when you were a kid. So there’s your gimmick. We learn that you can do impressively dull sounding things like “Play Powers to Alter the Battlefield”. On the plus side there’s a probability matrix that seems needlessly complex, though it is kind of cool looking. I have no clue what sets this apart from any other card game out there. BOOMERANG – The “come-back-again” card game! Okay, we’ve got to talk about this slogan. Are we supposed to be equating the famous flight path of a boomerang with some kind of addicting quality to the game? It’s….it’s just not working, guys. Fortunately we get a good idea of what the game is when the description actually compares it to other games! What a revelation! It’s almost like the people who wrote this realized that comparisons help people understand something rather than bland description. Apparently it’s a drafting roll and write game where you’re trying to do things to score points. Cool. Though there are no dice! How can you call it a roll and write without the rolling? This is a draft and write game, and nowhere is it called that. This is a crime! But the game is attractive and might be fun, though it appears to be quite simple. Verdict: Call it a draft and write! What a weird nam–ohhhhhhh, it’s an 18XX card game. Gotta throw that random “18” in the title because of reasons. I’ve complained before that these kickstarter descriptions don’t make comparisons or draw references to communicate better, but here’s how it can go too far. 18XX is a pretty niche genre, even amongst board gamers, and maybe they’re not expecting much of a potential audience outside of people who already know the genre well. But given that this is being advertised as a simpler, lighter, shorter game of that style, that seems like a missed opportunity. Anyways, saying something like “each player may own a maximum of two presidencies” in the opening paragraph doesn’t communicate anything at all to me. Why is that significant? Is it significant? If I don’t get it am I missing a crucial bit of information? It gets better, though, as the rest of it is easy to understand. There’s an action card system, and since this is a post-Gloomhaven reality you can select either the top or bottom action from the card. You get to do lots of train-y things and then you get paid out on shares. It gives me a decent impression of what the game might be like to play, though it hardly does any actual advertising. What makes this game unique, special, engaging, or fun? The strategy here seems to be “hey! If you like 18XX, here’s another one that’s short and has cards.”. Not exactly compelling copy for people not already bought into the idea. Oh no. I know what a name like “Roach Party” means. 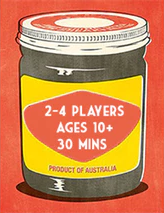 It’s going to be some poorly produced cash grab trying to leech off the success of games like Exploding Kittens. Imagine my surprise, then, after overcoming the shock of seeing one of the most terrifying images of my life, in seeing a game description that sounds kind of…not awful. It’s a semi-coop dice game with some custom dice and apparently a system which allows you to not accomplish the collective win condition but still win the game. Now, I’m not sold based on the very limited set of components, but maybe it’s not bad. We’ve got some dull-looking royal court-ish people staring at us from the get-go, but Academy generally doesn’t go wrong, so I’ll reserve some hope. And the first thing I see is “KS Exclusive Miniatures”. You know what, Academy? I have a game of yours about the War of 1812 and it’s got cubes all over the place. You’ve done your time. If you want to get in on that minis money, go for it. Don’t let me stop you. But these hands! Look at those things. What? Why? I don’t want creepy disembodied hands looking at me when I play a game! The copy isn’t bad–evidently it’s a worker placement game where only the action spaces that are locked in by the group happen each round. You can get rings for your creep-fingers, which unlock special powers. There’s setup variability. It promises “intrigue”. Right off the bat we get a bald-face lie! The game’s called “posthuman”, but I’m seeing both images of humans and mini sculpts of humans! Maybe they deliver mail? Apparently you’re in a generic post-apocalyptic universe and need to earn your stay in a stronghold by venturing out and doing something. I’m not sure what you’re doing, because the rest of the description implies that your goal is to simply not die. But there’s some juicy stuff here–weapon durability, mutation, story cards that have consequences down the line. Sounds like it’s borrowing a page from Robinson Crusoe. There’s a list of key features that are informative, though not particularly exciting. The game details are explained through some neat gifs that actually inform. Rahdo likes it, evidently. At this point, how bad is it from a marketing perspective if Rahdo doesn’t enjoy your game? Go any further than that and you reach a truly absurd listing of all of the components and exclusives and stretch goals and who knows what (no really, who knows? I couldn’t stand to look at it very long). If I had the money and inclination I might look at the rulebook or something. I know this is a board game adaptation of a Paradox video game that I haven’t played. Orion, who you know from the podcast, is a huge fan of Paradox games, though I don’t know if he plays this one much. The video games are super-detailed grand strategy games that are mechanically impressive. The Crusader Kings board game promises “juicy medieval drama” and “intrigue”. The map looks quite small in the picture and the pitch makes it sound like this game is more about storytelling and interpersonal drama than I might have expected. I love that they up-front tell you their 4 main “pillars” of design, to let you know what they really want to try to do with the game. Whether they succeed at that is yet to be determined, but I do like that they’re being so straightforward with their plans. I’m a bit skeptical of a board game delivering on so much intrigue and juicy drama, but it could be great. The subtitle speaks of “subtle and clever twists”, and if there’s one thing I like in the world, it’s definitely subtle and clever twists! No one quote me on that out of context. Bravo for trying to highlight the gameplay features from the top. Boo for not communicating them very well. I mean, “the theme is very present and coherent” doesn’t exactly put me on the edge of my seat. That’s the kind of description you give someone recovering from brain surgery – “they were present and coherent today! I think they’re recovering well.” “Great strategic stakes due to the game’s special timing and the turn order” also doesn’t help communicate much to me. Are they saying that the turn order mechanism is incredibly significant? Is that even a good game? What if it throws off the balance of the rest of it. Further down we get some cool gifs that explain things in more detail. Other than giving me some information for which I have no relevant context to understand (why do I care if I can get victory points for “building tents”? ), these show me some interesting information. Apparently there’s a spatial element for activating the different worker placement locations, and some resources can only be gained after someone else generously donates them. That can’t be right. There must be an incentive to donate. Regardless, I see some novel ideas. The art looks cool. They got the Rahdo stamp of approval. Farmer Olaf – a family no.table game playable anywhere. “no.table” sounds like the name of a modern art piece that’s, like, just an ipad with a picture of a table displayed on it. It’s about the farthest thing from “Farmer Olaf” I can think of. Apparently this is a family card game with a clever box that can store the cards within it during play so you don’t need a table. I kind of like it. There’s a huge chunk of space dedicated to showing off the features of this box, without a word of the game. Fun fact: the box is “built like a tank” because its walls are 2mm cardboard. When we finally get to the game part we learn that the creator honestly thinks it’s the best part of Farmer Olaf. It’s nice to know that he has so much confidence that the game is better than the box that holds it. You don’t always get that. It looks like a simple resource conversion matter that might work well. Some fairly complicated symbology for a game geared at children, but what do I know? Kids are smart. A lot of it is dedicated to yak rearing, which you don’t see a lot. I’ve actually heard of this one before! It won a PnP contest on BGG last year and looked very interesting. It’s a solo hidden movement game, which sounds like something impossible. But I love to see the impossible made possible, so let’s see what’s up with this thing. One again we see the Rahdo endorsement right off the bat. I don’t know how that guy manages to keep so much enthusiasm so consistently. What a pro. We get a very clear statement of what the game is–hidden movement and logical deduction–early on in the description. This is good, as it can frame more intricate descriptions of the mechanisms later on. And the description of the mechanisms isn’t bad at all. There’s some kind of “keyhole” thing going on where you check your guesses by peering through a hole in a card. I think this just might work. How cool must it be to see a game advertised with your name as the selling point. After many Commands and Colors games, Richard Borg gets that distinguished honor. And now we’ve got a sci-fi one! The description of the game is honestly the best one I’ve seen so far, but it’s buried beneath the component pictures and campaign updates. Once you find it, though, you get a very good understanding of what the game is about. It takes the Commands and Colors system and applies it to sci-fi by having a few different types of ships, engineering/crew damage systems, and combat cards that can give your side a boost. It accurately describes not only how C&C works, but why it’s appealing–it simulates fog of war elegantly. What else is there to day? It’s sci-fi C&C. I have two others in the line here at home that are sadly underplayed, so I won’t be backing Red Alert. But I kind of wish I was. This is the best, most informative Kickstarter page of the group. There are descriptive schemas throughout, from the very beginning. There’s a solid overview of what kind of problems you’ll need to solve as you play the game. There’s a more extensive overview of each of the game’s phases, aided by gifs. I wish it was a hair less dry of a description, but I understand exactly what this game’s about after reading it. Art Deck has a sleek modern aesthetic that draws (heh) you in as soon as you arrive at the page. The description of the game and how it actually works is quite good. The problem I have with it is the game itself. You’re given collaborative drawing exercises with various conditions played upon them (draw eyes with everyone touching the marker, for example). At various points you can claim the collaborative picture everyone has helped draw, and at the end the “best art” wins. According to whom? And what if something’s so awful that no one wants to claim it? Do you keep drawing literally forever? It’s attractively presented, but I don’t understand how it functions as a game based on what they’ve told me. 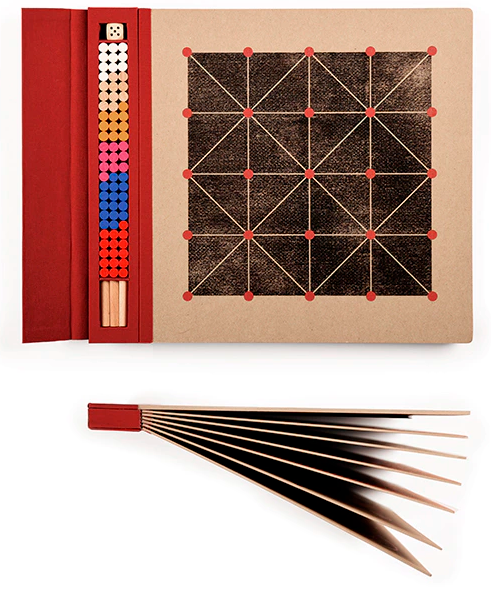 This is a sleek looking book of 8 abstract strategy games, where the pieces are housed in the large spine, and the pages are magnetically held into place. It looks undeniably cool from a tactile perspective, and the various abstract strategy boards are beautifully presented. But there’s nothing written about the game selected other than that: 1) they were selected and 2) they’re old and “historical”. Are they any good? What makes them good? Will you actually want to play them or is this made to gather dust as an attractive coffee table curiosity? The creators of this project don’t seem to care that much, which is fine. I mean, I wouldn’t not want it gathering dust on my coffee table. There you go. There are actually a number of potentially decent games up on Kickstarter right now, though I think the campaigns frequently do an awful job at communicating that. What struck me the most during the process of reviewing all of these campaigns is how frequently dull and uninteresting the text describing what the gameplay itself is like. Maybe I’m the only one who wants to know this information, and other people will actively pursue it by reading through the rulebook or doing additional research more easily. I’m not sure. But I think there’s a huge opportunity for creators to simply write better copy. Hopefully this was informative and helpful to you all. If you are going to run a Kickstarter campaign and want someone to look over your text, let me know. I think I could do a good job editing it to make it more appealing to gamers like me. And if you did find this feature interesting or helpful, let me know. I am considering doing one of these once a month to try to keep afloat on what games are being kicked and/or started. But if you all hate it I’ll stop.